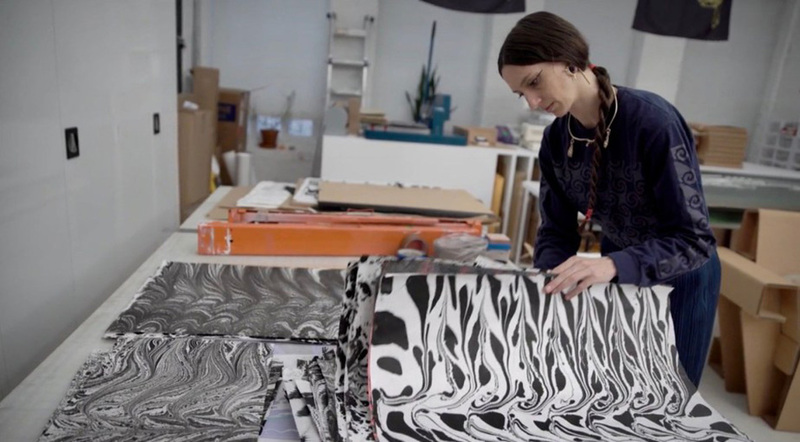 New York-based artist, Tauba Auerbach will keep the integrity of the designs originally developed by British painter Norman Wilkinson, who prepared designs for U.S. merchant ships targeted by enemy U-boats. The designs, sharp interlocking shapes and colors, distorted the ships and confused submarines that were tracking their course, making it more difficult to make out the ship against shifting waves and clouds. Auerbach will taker cues from animal camouflage and avant-garde movements such as Cubism, Futurism, and Vorticism’s geometric forms. 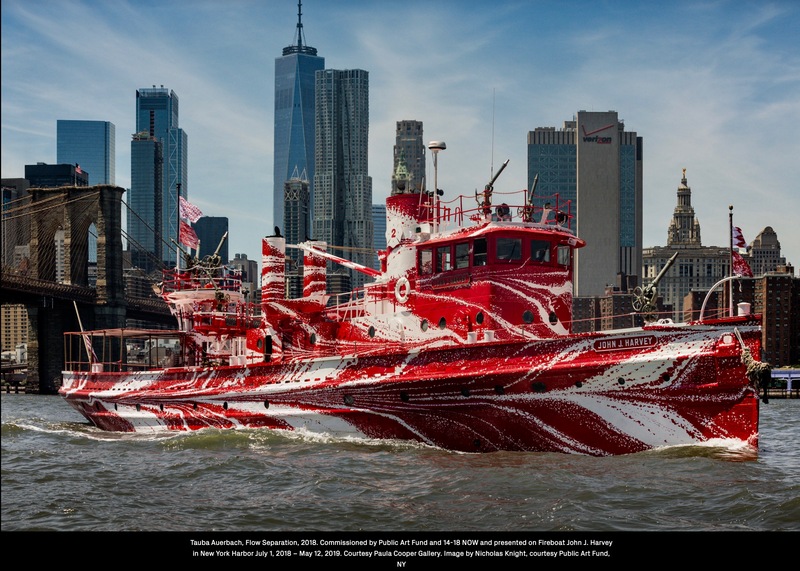 With a background and express interest in older painting traditions and technologies, Auerbach will exhibit a ‘dazzled’ fireboat that will be the first time Public Art Fund partnered with a boat as an exhibition. Tauba Auerback: Flow Separation is co-commissioned with 14-18 NOW, the UK’s arts program for the First World War centenary. Since 2014, 14-18 NOW has presented four Dazzle Ships in the United Kingdom as part of the WWI centenary. 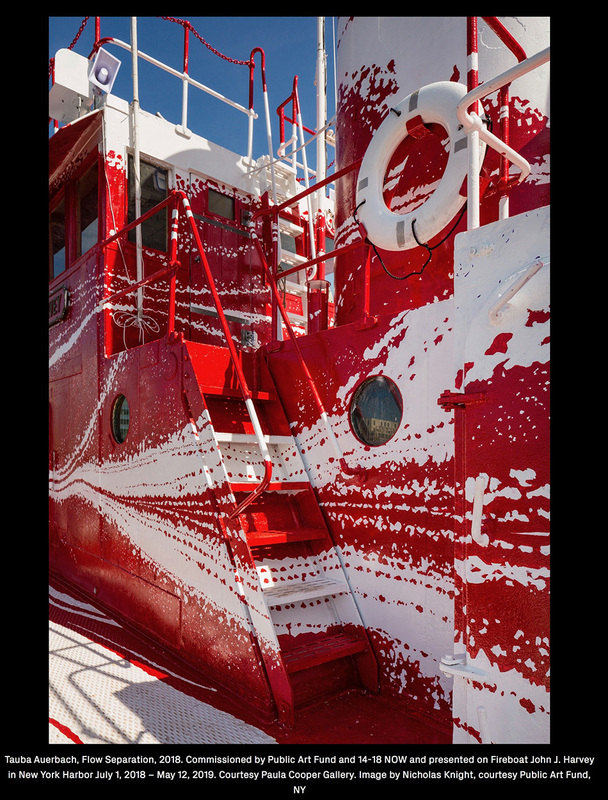 The historic Fireboat, John J. Harvey, now retired and privately owned, will be the first U.S.-based ship and the final one in the series before the 100th anniversary of the end of World War 1 on November 11, 2018. You can help with this project by donating on Kickstarter. 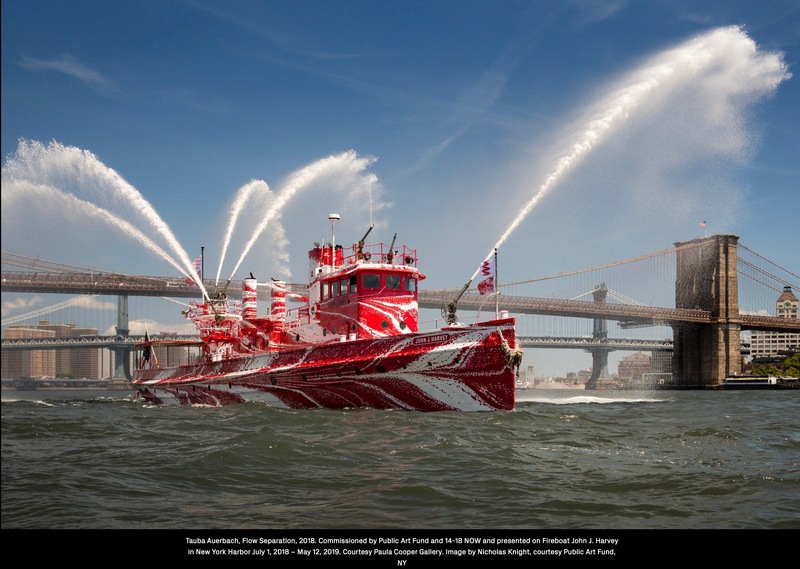 Beginning July 1st, the fireboat will visit docks around New York Harbor, and will be offering free trips to the public. Tauba Auerbach: Flow Separation is curated by Public Art Fund Adjunct Curator Emma Enderby, and is the second in a series of Public Art Fund summer installations, with Erwin Wurm: Hot Dog Bus opening June 9th and B Wurtz: Kitchen Trees opening August 7. Previous Previous post: Public Art Fund Brings a Hot Dog Bus to DUMBO!